The AGB Fund Drive campaign is nearing the finish line and we still have 2 scholarships to go to meet our goal. We are extremely pleased with the progress we are making and still have a few potential donors we are still hoping to hear from. Most donors to date have already received their “Thank You” notes from the Learning Center. The staff, Board, and the community are clearly appreciative of the great generosity demonstrated by the “Friends of Copey”. Again, if you plan to make a donation and not just yet done so, now is the time! Students need to be selected for the scholarship and ready to start when school begins in a couple weeks. Deadline is February 2, 2015…so call or write if your donation cannot make the deadline for some reason. I can still include it in the final update I plan to issue on February 3. The celebration will then begin! On behalf of the Learning Center, the Copey community, and “Friends”, we thank all the donors for the financial support provided to date. You are absolutely “Awesome Friends”! This new request continues to move a little slower. We know this is a big train just leaving the station. Some speed and momentum is needed and we will soon see this train rolling down the tracks towards success. These requested funds are extremely important and we have a little more time to work on this. We are certainly doing very well getting the students into the classroom with our scholarships. But, we need to help make their classroom experience the best it can be with strong and consistent classroom leadership. All of us know very well that the key to a successful operation includes a strong Captain in control of the ship. (Speaking of a successful operation…Go Seahawks!) 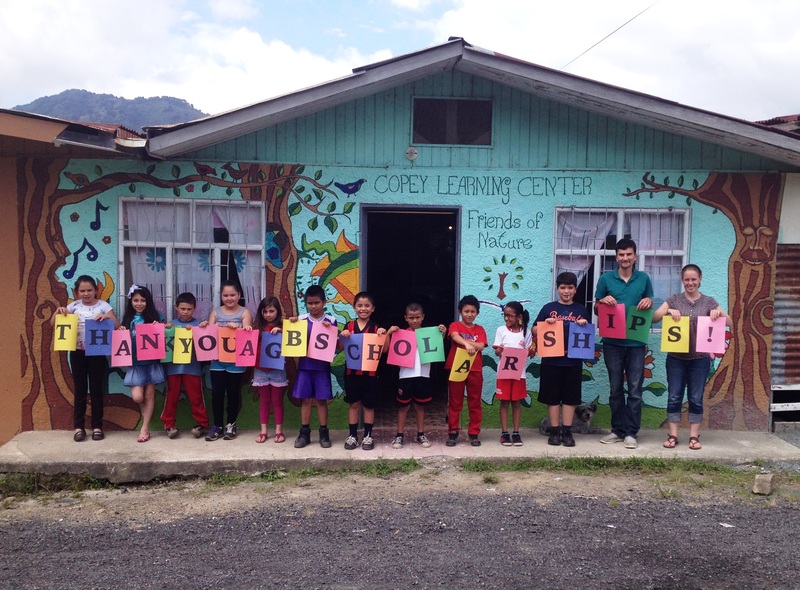 Any donation from $1.00 to $1,000 will help the Learning Center become that successful educational model other rural communities in Costa Rica are reported trying to duplicate. The Learning Center opened about 6 years ago and has operated without any paid staff. Volunteers have done a tremendous job improving the operation and educating its students. The new position will serve to manage the Learning Center’s day to day operation, direct the education programs for the students, and move the Learning Center to the next level. The Copey community is committed and raising the additional $2,500.00 to cover the full $5,000.00 salary approved. Instructions on how to make a donation are available by clicking on one of the last three Posts or email me at atbroady@aol.com or call 1-509-783-5897 for assistance. The AGB Fund Drive campaign continues to make progress with commitments for 10 students to attend the Learning Center in 2015. On behalf of the Learning Center, the Copey community, and “Friends”, we thank all the donors for the support provided to date. However, we still need funds to reach our goal of 15 students. The tuition cost per student for a full year is only $10 per month or $6.00 per month for a kindergarten student. The 2015 AGB Scholarship Fund Drive will end on February 2, 2015. The Learning Center starts the 2015 school year in about 3 weeks. The funds for this new request continues to move a little slower than the scholarships. I am hopeful some “Friends” will help out in our effort to support the community’s plans to staff the Learning Center with one paid position. In 2015, for the first time since the Learning Center opened about 6 years ago, one paid position is approved to manage the Center’s day to day operation, direct the education programs for the students, and move the Learning Center to the next level. The Copey community is raising the additional $2,500.00 to cover the full $5,000.00 salary approved. Instructions on how to make a donation are available by clicking one of the last two Posts located on the right side or email me at atbroady@aol.com. On this very significant day, as we observe Reverend Martin L. King, Jr., Day, “Friends of Copey” continues to honor the life and memory of Anne G. Broady by initiating the 2015 Anne G. Broady (AGB) Scholarship Fund Drive. 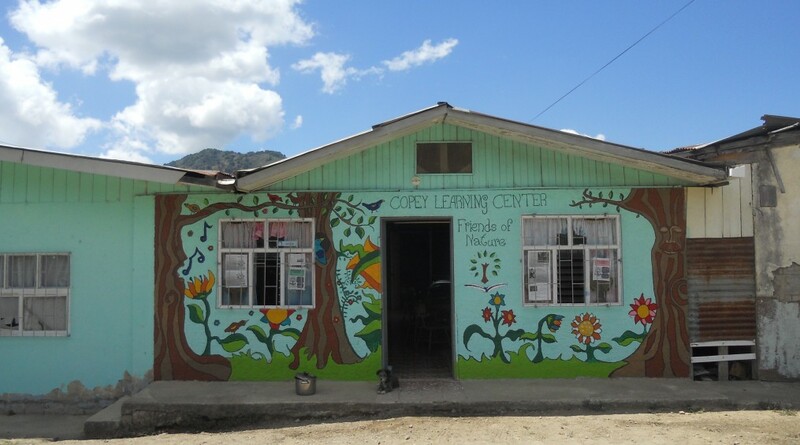 For those who have only recently become “Friends”, my involvement with the Learning Center in Copey, Costa Rica had already started prior to Mom’s death in August 2013. The AGB Scholarship Fund for students attending the Learning Center became an idea that began shortly following her death. In December 2013, the Blog “Friends of Copey” was started and became the vehicle to better communicate with all of the known “Friends” at that time and used to raise funds to support the AGB Scholarship Fund. Enough money was generously donated to cover the tuition cost for over 20 students to attend the Learning Center. 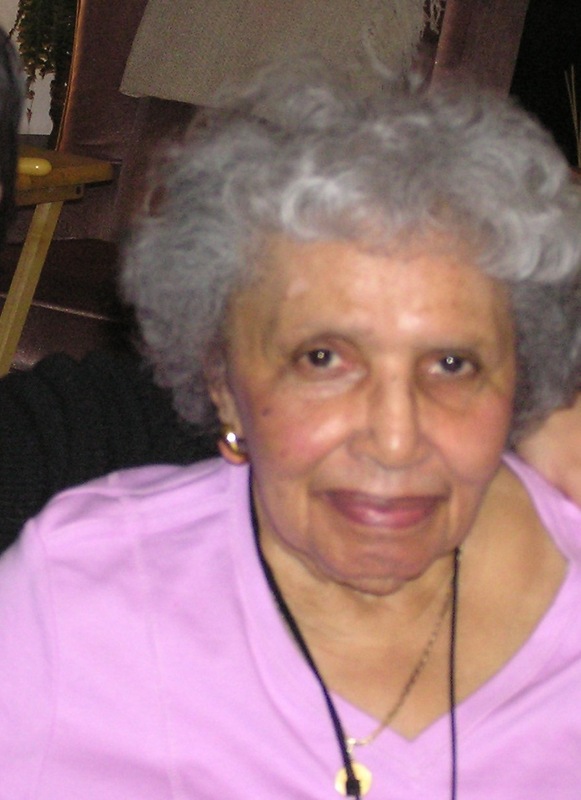 The full story about Mom and the background of the AGB Scholarship Fund is found by clicking on the Scholarship Fund menu tab at the top of this Post. Since December 2013, many stories about the unique and successful partnership between “Friends” and the Learning Center have been posted. Please read the letter below I just received from Eve Solomon. 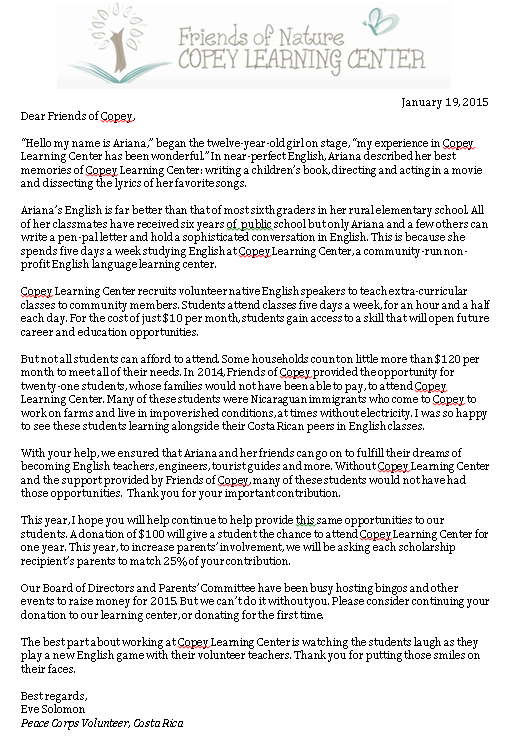 She has spent more than a year at the Learning Center and writes about Ariana and the important impact “Friends of Copey” is having on young lives and a small rural community. Being the key staff member at the Learning Center during 2014, Eve has been in the leadership role in managing the use of the AGB Scholarship Fund. Her letter hopefully provides you a better understanding of the serious educational challenges the students in Copey are facing. The full tuition for a kindergarten student is $60.00 for one full year of attendance. The full tuition for a non-kindergarten student is $100.00 for one year of attendance. We have requested these students receive $75.00 towards their $100.00 tuition expense and the parents pay the balance of $25.00 to cover the full tuition. The rest of the $25.00 being donated will go to help with costs for school supplies and materials. A separate and special donation is requested to help pay for the cost of the Learning Center’s first and only paid staff member. “Friends of Copey’s” goal is to raise $2,500. The details of this new request are provided in last week’s Post. There is no set amount for any donations made towards helping pay for this new position. If you are not familiar with PayPal or prefer not to make an electronic donation, you may send a check to me directly made out to me. Your donation will be entered into PayPal on your behalf indicating you as the donor in the PayPal comments section. A confirmation will be received identifying you in the comments section the actual donor. You will receive either by email or by letter from me a copy of the confirmation for your own records. I recognize making the check out to me involves trust. Hopefully, this will not be an issue. Overall, very little money is involved in this project throughout the year and it has been decided not to establish a separate “Friends” bank account since this would certainly involve a variety of legal and bureaucratic issues and unnecessary expenses. Both methods above were effectively and successfully used last year and we anticipate the same this year. The Learning Center will reopen in just weeks! The Learning Center has been on summer break for over a month now and will open its doors to a new year full of hope and great expectations. Recall, the Learning Center ended its 2014 school year with a huge BANG! Next week, we will officially kick off our Scholarship Fund Campaign for 2015. Our goal is to support the enrollment of ten to fifteen students to attend the Learning Center needing financial assistance. The tuition amount of $100 per student is the same as last year. The parents of the students receiving the AGB Scholarships are requested to pay the first $25.00 of the tuition. The donated $100.00 by the “Friends” will be used first to supplement the remaining balance by allocating $75.00. The remaining $25.00 of the $100 will be allocated to help purchase school supplies and other educational material needed by the Learning Center. Parents unable to pay anything due to extreme financial hardship conditions may receive the full $100.00. The Learning Center staff will make that determination on a very limited, case by case basis. This change is intended to keep us in a partnership role with the parents. “Friends” believe its role is to partner with and support the Community’s efforts to provide essential English education to their students. In addition, unlike in the USA, determining a family’s financial status is not easy and in a very small community such efforts are considered to be somewhat culturally problematic. Representing “Friends”, I have also agreed to support some of the funding needed to help cover the cost of an Administrative position at the Learning Center. The Board approved this position last year and has offered the job to a prior volunteer who is returning to Copey to marry someone in the community. This selection is believed to be an excellent choice with prior Learning Center experience and long-term plans to become a member of the community. To date, the teachers including someone designated to be in charge of daily operations are typically volunteers from outside of the country. The Board of Directors believes the time is now to hire someone to be in charge of the daily operations and to help move the Learning Center to the next level. Many things are needed including improvements in the facilities and classroom equipment. Equally important is the need for educational continuity. Unpaid volunteers are an excellent resource and provide tremendous talents and skills to needed areas such as Copey. However, volunteers are only available for a short time and then move on to other assignments or discontinue as volunteers. Most volunteers only stay from 3 to 9 months on such assignments. This constant turnover at various times throughout the year presents real challenges for meeting the long-term needs of the Learning Center. Eve, a Peace Corps volunteer and the current day-to-day leader at the Learning Center, has been unique in many ways. Her nearly eighteen months with the Learning Center has provided many long-term benefits to both the students and the community. She has also demonstrated how valuable continuity is. The Learning Center wants to keep up the momentum Eve has produced and continue moving forward as a rural education leader in Costa Rica. Therefore, we have a second funding opportunity to support in 2015. “Friends of Copey” will strive to raise $2,500 to help pay for the Learning Center’s first hired staff scheduled to be on board in March. This funding initiative represents about half of the amount needed. This fund drive will also be officially launched next week along with the AGB Scholarship Fund in a special Post announcement. Interested donors may choose to contribute to one or both of these important funding needs. More specific details will be provided next week when the formal announcement is made. Many “Friends” following this project for the past year recognize there are minimum efforts made to raise money. There is no fee to be a “Friend of Copey” and we do not profess to be a major fund-raising arm of the Learning Center. As “Friends” we are reminded that our prayers and positive wishes for the best results for the Learning Center are our key contributions. We believe this type of support opens many doors of opportunity for the Learning Center and its students. However, sometimes we are unable to get around the need to be financially involved. Without the financial support, several of the students would not have attended the Learning Center in 2014. “Friends” with the financial means and the desire are invited to support “Friends of Copey” with donations to the AGB Scholarship Fund and or making a contribution to support the new administrative position. Whatever a “Friend” does is of tremendous value and deeply appreciated. See next week’s Post for all the necessary details and instructions. One Picture is Worth a 1,000 Words! Please enjoy some of the more memorable photos from 2014. These photos help tell the story of the “Friends of Copey” and the extraordinary relationship with the Learning Center. Thanks for the memories. Thank you for taking a trip back through the year with photos. There is a story to go with each photo and as “Friends” we have been involved with most of the stories. Thank you “Friends of Copey”.